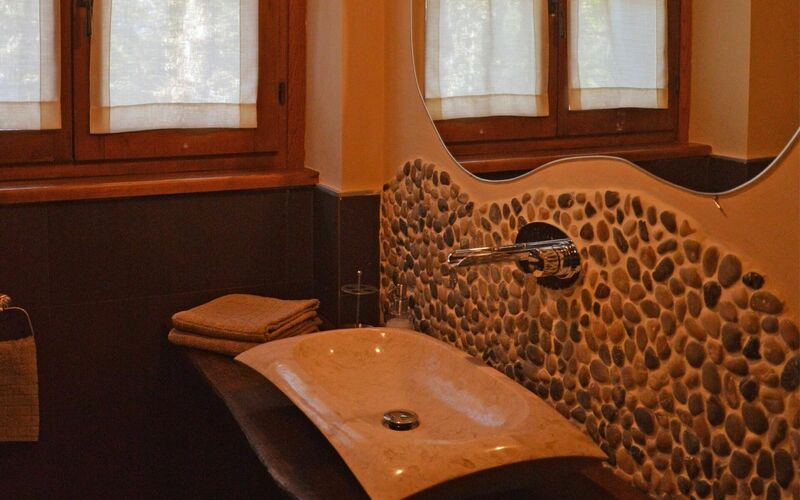 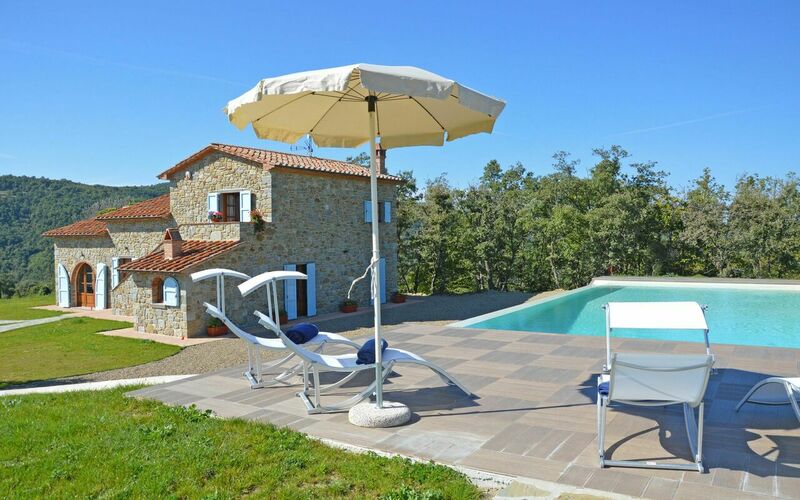 This beautiful villa with private pool is situated in Tuscany, a short distance away the town of Castiglion Fiorentino, between the historical cities of Cortona and Arezzo. 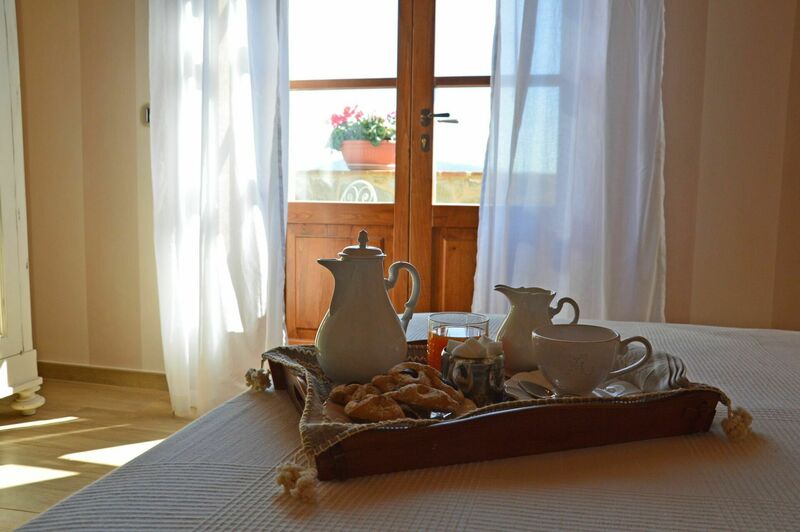 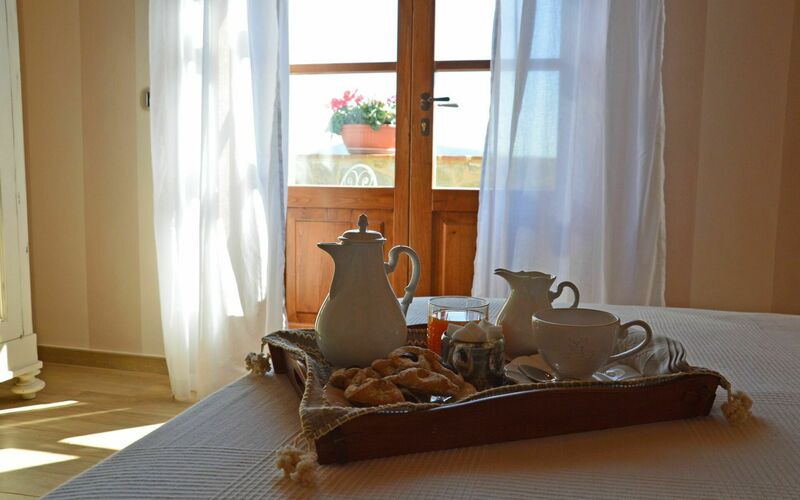 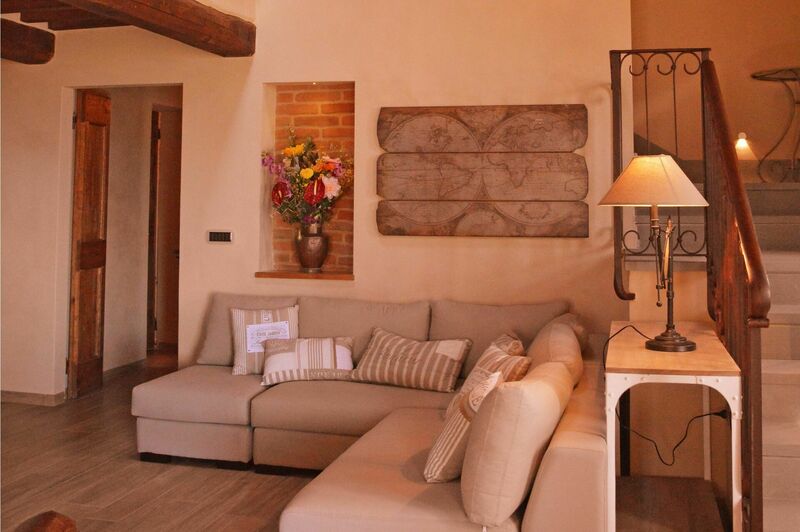 This rental is an ideal destination for those seeking for tranquillity. 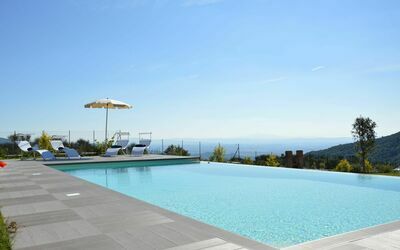 A large garden with a private pool overlooking the valley below sourrounds the villa. 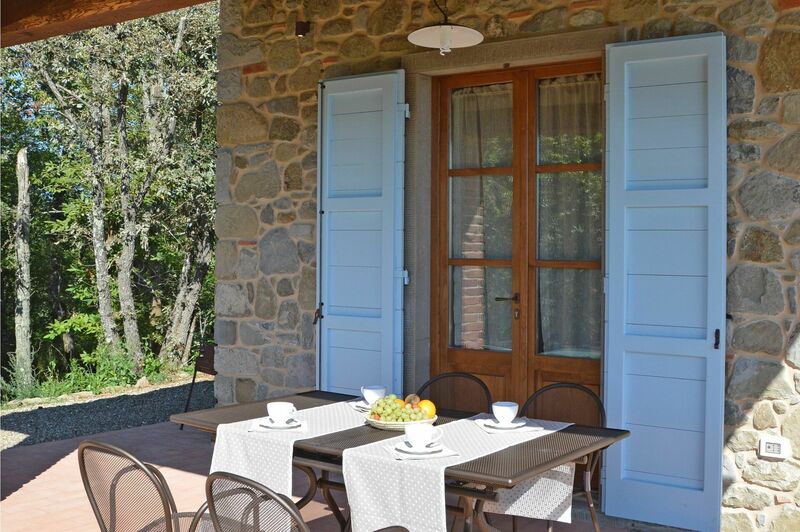 Outside guests can also enjoy use of a nice, furnished portico ideal for al-fresco dining. 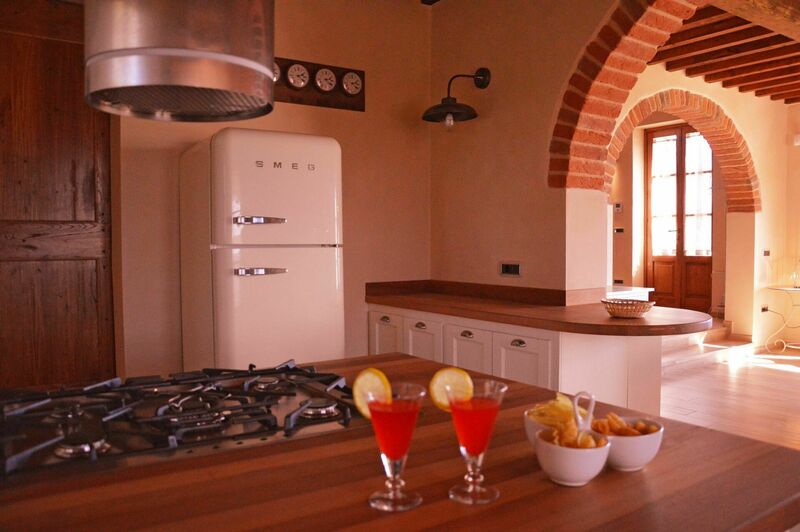 Air conditioning in the whole house is provided through a floor cooling system. 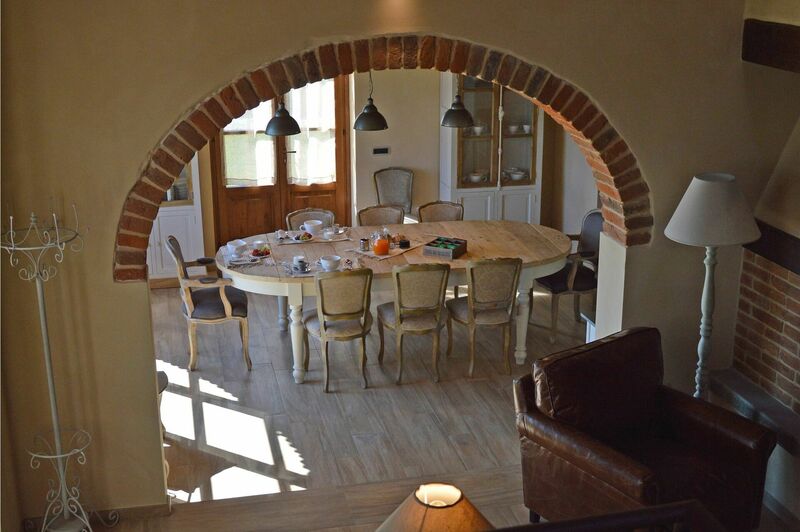 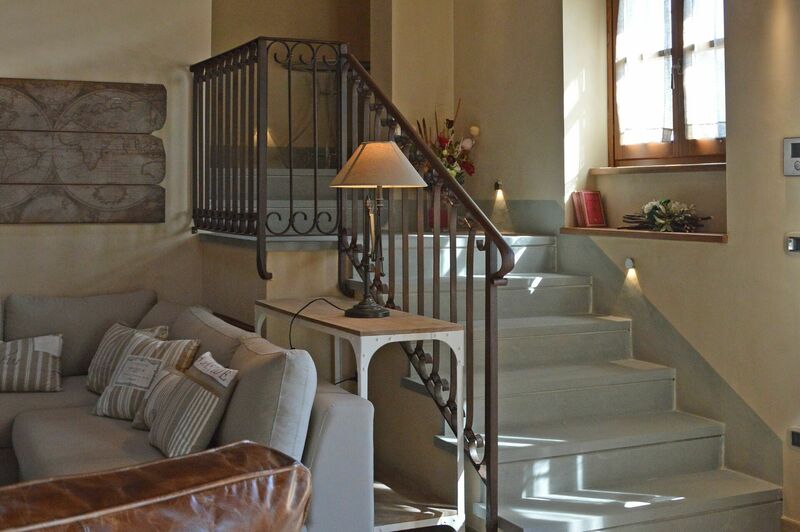 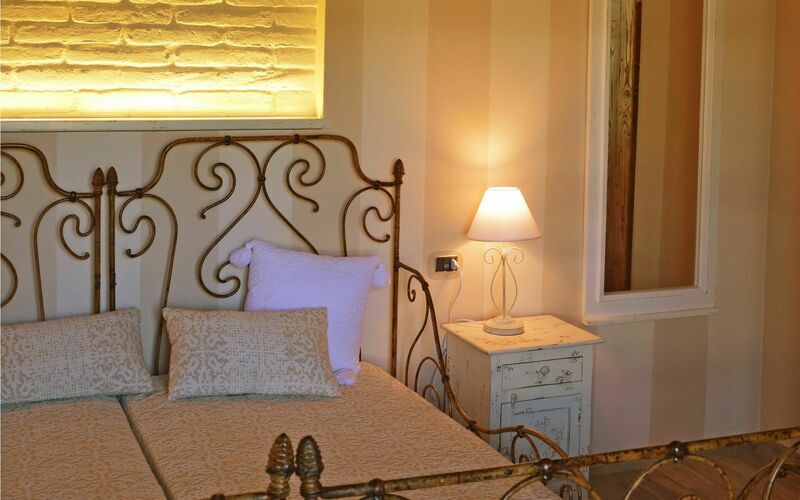 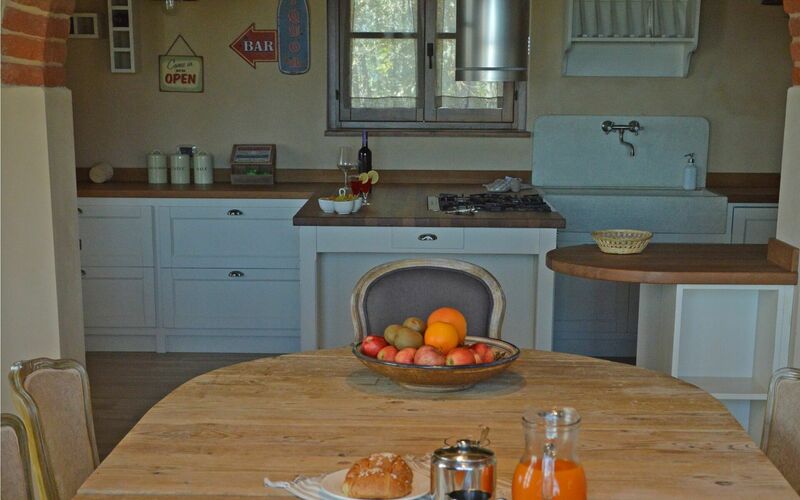 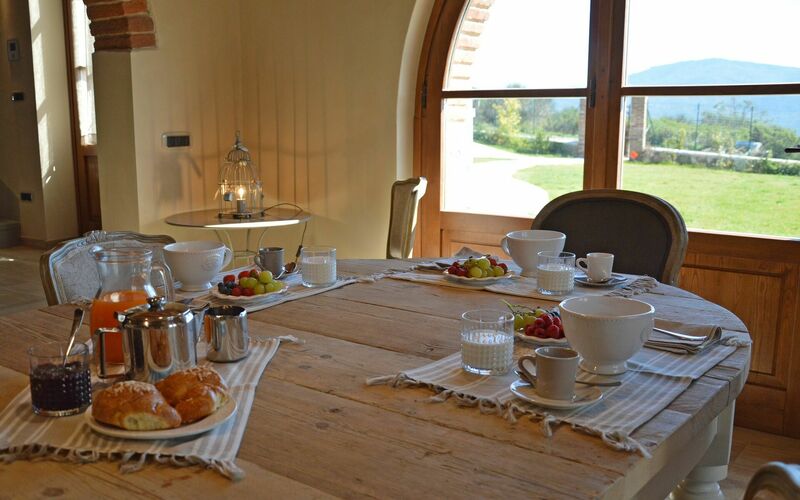 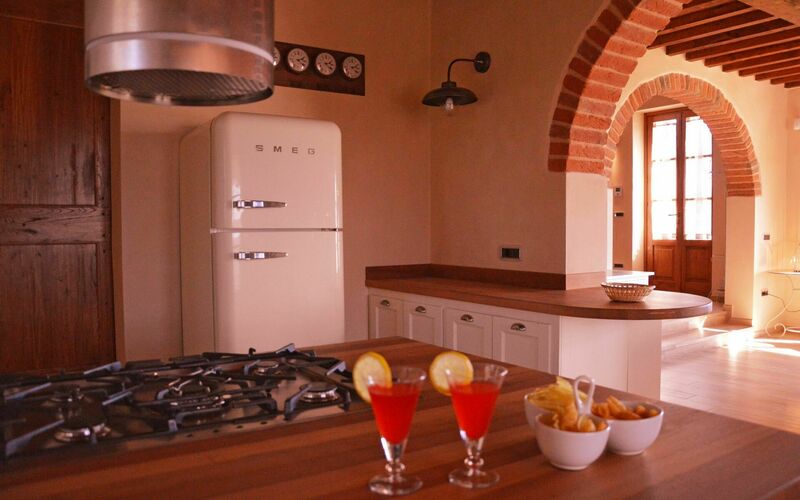 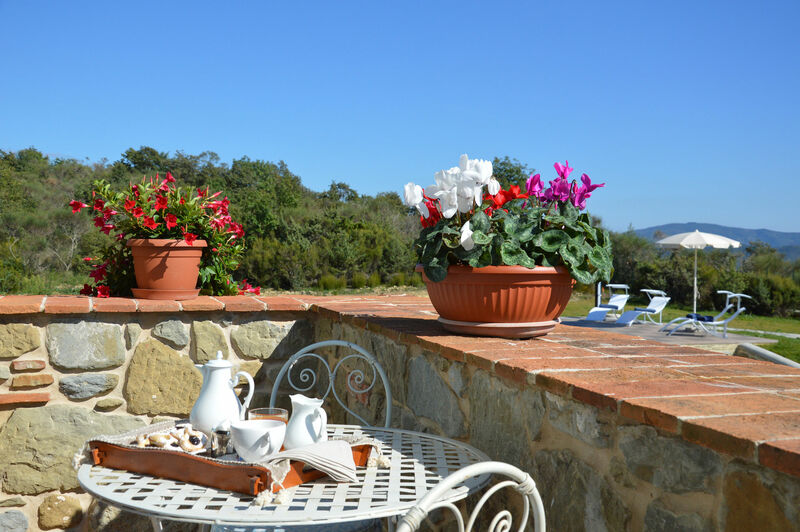 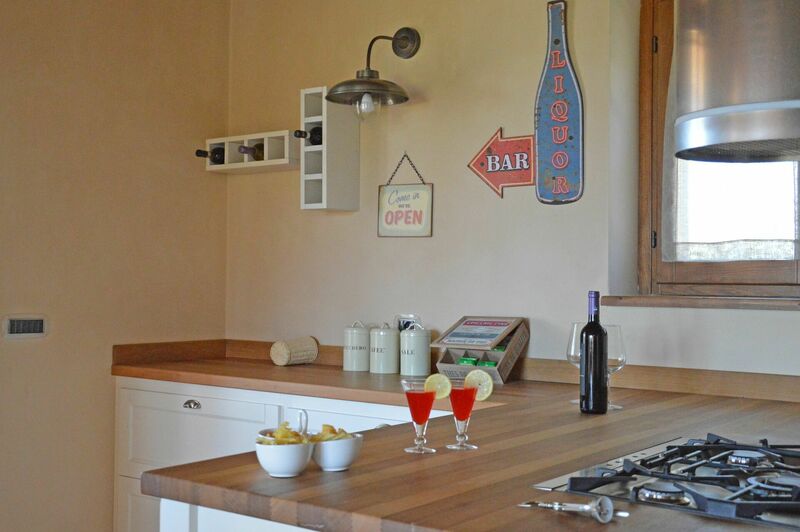 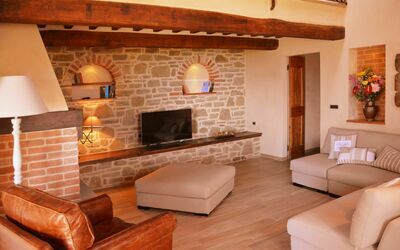 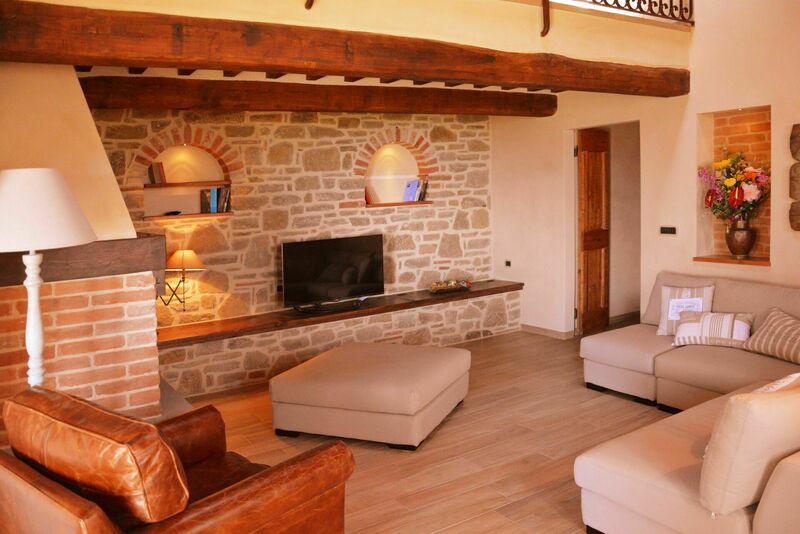 This recently restored 3-bedroom villa accommodates up to 8 people and is an excellent choice if you wish to spend your holiday amidst the Tuscan countryside. 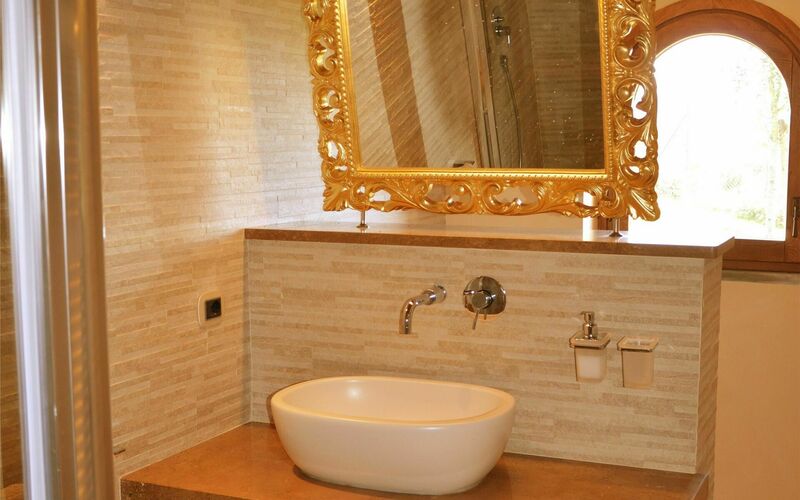 The interiors are welcoming and tastefully furnished. 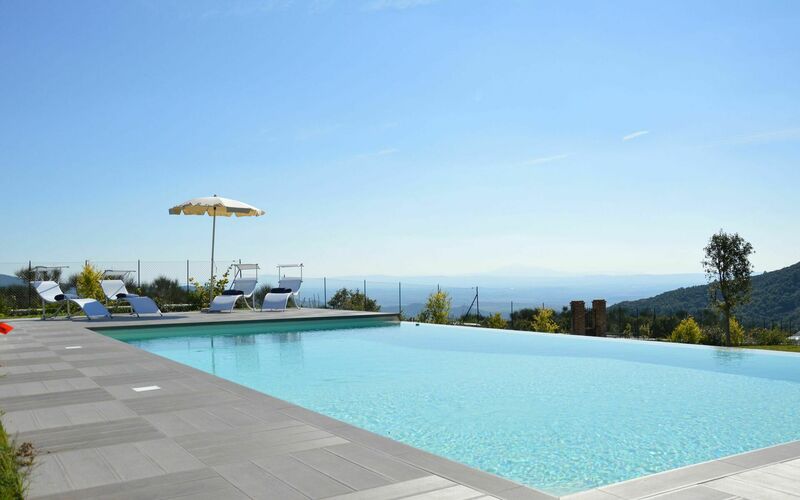 The outside areas are entirely fenced and well looked after, the pool, sized 10x5, is in panoramic location and offers a nice solarium area with sun umbrellas and 8 sun beds. 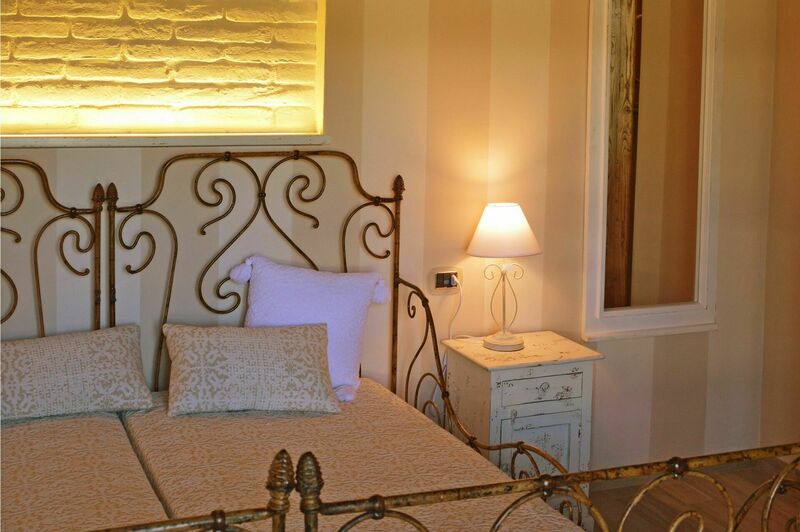 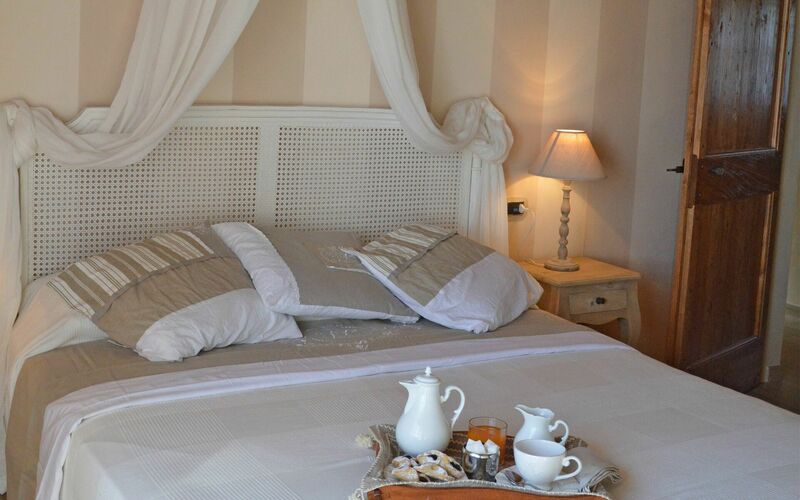 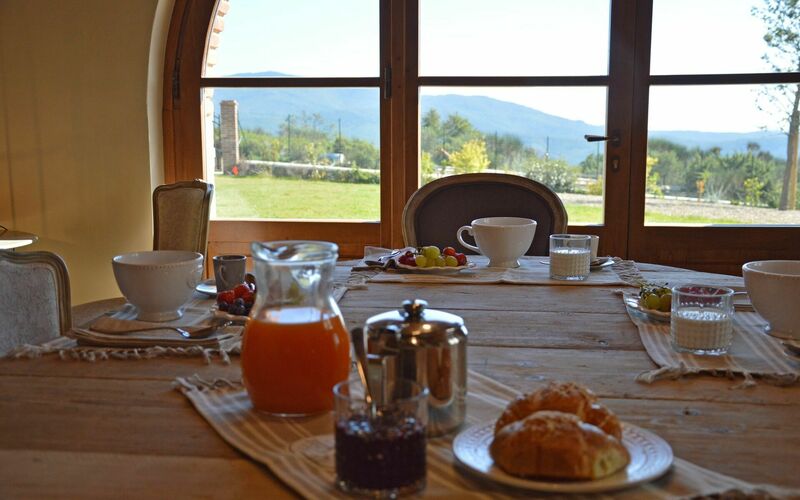 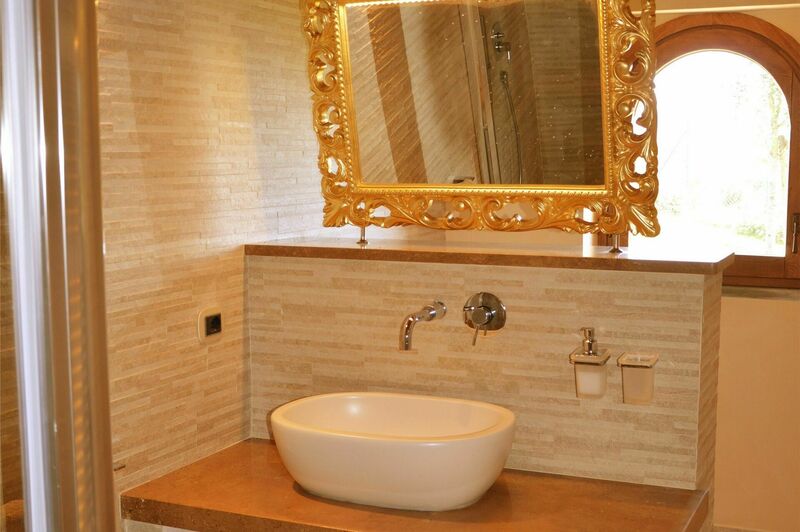 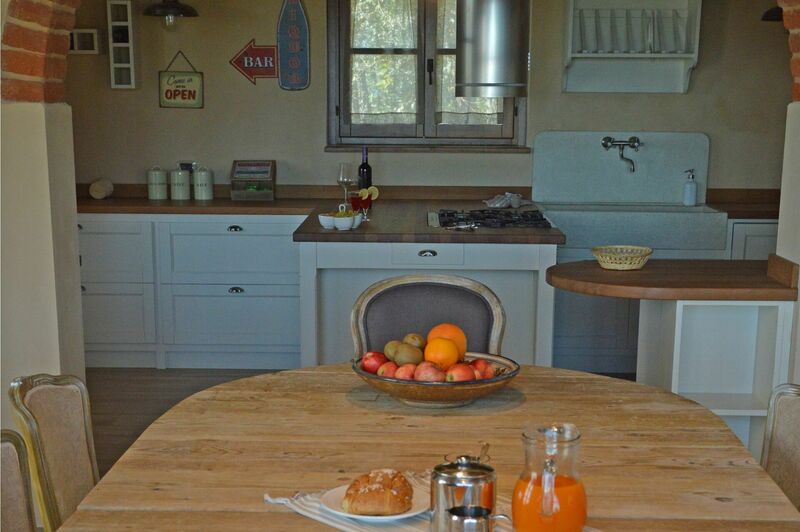 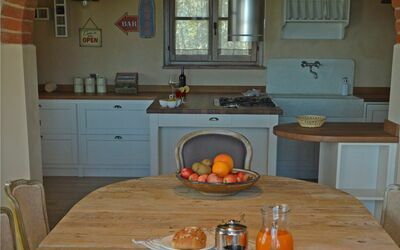 The villa location is in easy reach to many places of interest in Tuscany and Umbria. 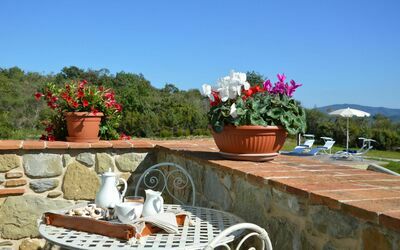 Free WI-FI available, parking within the grounds. The access to the property is via a dirt road of approx. 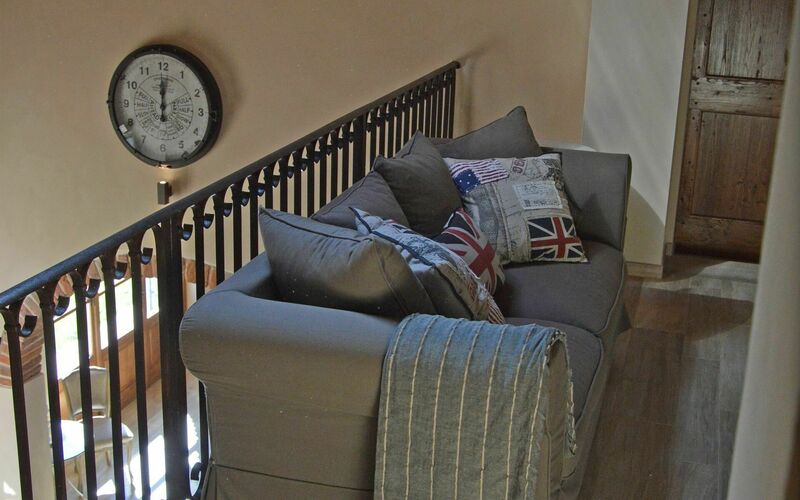 1 km suitable to any cars. Pets are allowed only upon request (at booking confirmation). Distances: Castiglion Fiorentino with a variety of shops 7,5 km, Cortona 20 km, Arezzo 21 km, Lake Trasimeno 35 km, Montepulciano 46 km, Pienza 52 km, Montalcino (home of the famous Brunello wines) 70 km, Perugia 72 km, Siena 75 km, Florence 100 km, Orvieto 110 km. Ground floor: entrance on to a living area with fireplace and TV, double bedroom with walk-in closet and ensuite bathroom with shower, bathroom with shower. 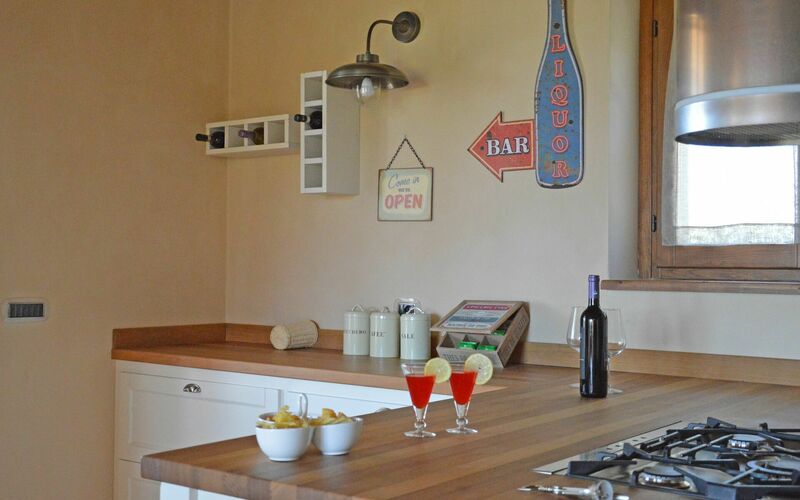 2 steps down: dining area (TV) with kitchen (freezer, microwaves, oven, dishwasher), utility room with washing machine. 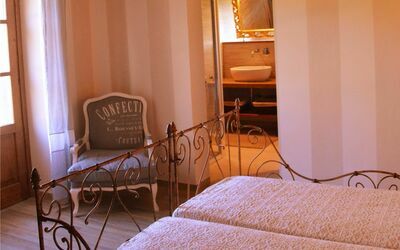 First floor: double bedroom (accessible also from the outside), twin-bedded room, bathroom with shower and Jacuzzi tub. 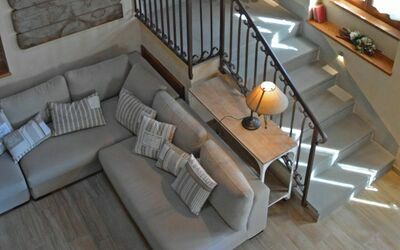 2 steps down: room open on to the living-room with double sofa beds.